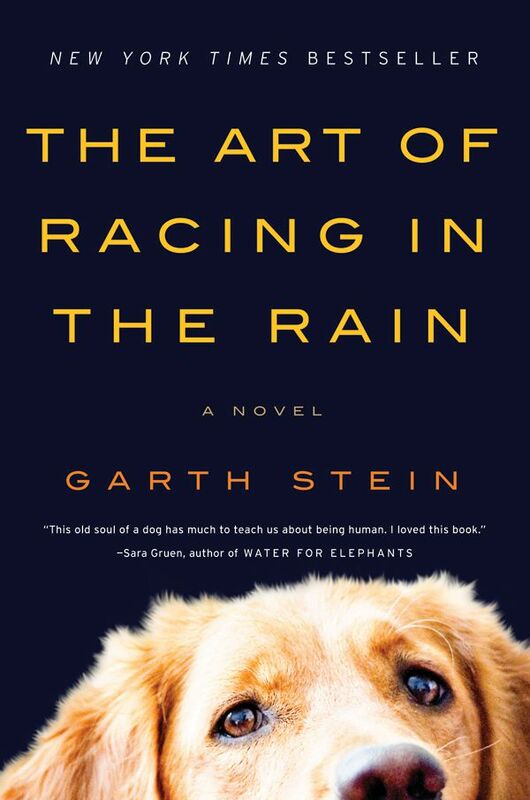 The 2008 tearjerker novel The Art of Racing in the Rain by Garth Stein has been a huge success, spending over three years on the New York Times Bestseller List. One of its most endearing qualities is that it is told from the perspective of a dog. The dog, a lab mix named Enzo, observes his master, Denny Swift, who is a mechanic and race car driver. You don't have to be an animal lover or a racing fan to get into the story. Enzo loves watching TV (especially the weather channel), and is as much into car racing as his human dad. Much of the book focuses on what Enzo learns as he observes Denny's actions -- particularly because Enzo believes he will be reincarnated as a human in his next life. Parts of the book were based on Stein's own life because of his background in car racing. Despite the fact that the book is told from the point of view of the dog -- which might make a film version a challenge -- Universal Pictures optioned the rights to the book in July 2009. Grey's Anatomy and Enchanted star Patrick Dempsey came on as a producer and to star in the film as Denny Swift. Dempsey seemed like a perfect fit for the material since he has a background in car racing and owns the team Dempsey Racing. But the film has yet to be released. What happened? 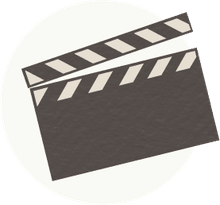 As you probably know, developing a film is a long process even if it comes with a built-in audience because it is based on a bestselling novel. Michael Rich initially wrote the screenplay, but he was later replaced by Mark Bomback (Dawn of the Planet of the Apes). Thomas Bezucha (Big Eden, The Family Stone, Monte Carlo) was then hired to direct the film, and producer Neal H. Moritz (The Fast & The Furious movies, 21 Jump Street) joined the film as well. Author Garth Stein himself has a history in film -- he produced a handful of films, including the 1993 Robert Downey Jr. documentary movie The Last Party. However, years later the film adaptation has yet to be released. First, Bezucha left the film, leaving the project without a director. A second issue could be with Dempsey's star power. Though he became a popular heartthrob on Grey's Anatomy, Dempsey's TV success has not translated to success in film. Of course, Dempsey has starred in some very successful romantic comedies -- 2008's Made of Honor, 2010's Valentine's Day, and 2016's Bridget Jones's Baby were all box office hits -- but he has yet to establish himself in film outside that genre. His 2011 crime comedy Flypaper (which he also produced) was only released in two theaters in the U.S. and it grossed just $3.1 million worldwide. He also appeared in a supporting role in 2011's Transformers: Dark of the Moon, but his performance was widely panned (he was nominated for "Worst Supporting Actor" at the 2012 Golden Raspberry Awards). Though he was still attached to star as late as 2012, Dempsey eventually dropped out of the project. For a few years that seemed like the end for the movie adaptation of The Art of Racing in the Rain. However, in January 2016, Walt Disney Studios acquired the movie rights to The Art of Racing in the Rain when Universal put the movie into turnaround (a process which allows another studio to acquire the rights to a movie that is not moving forward). At that time, Disney announced that it was retaining Bomback's script but asked him to do a revision on it. Bomback previously worked with Disney on Race to Witch Mountain, which he wrote. Moritz is still attached to produce the film. Stein expressed support for this version of the project on his website. Time will tell if Disney will succeed where Universal failed as fans of the novel await any further news.